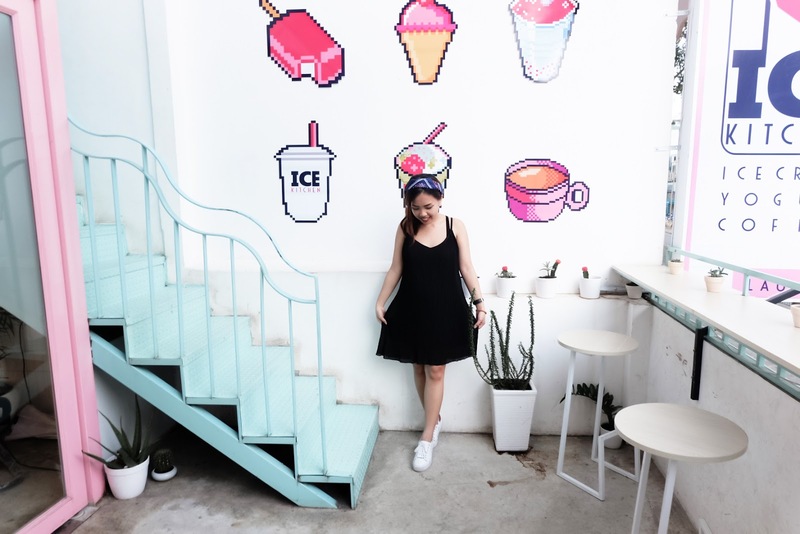 Most probably on of the cutest cafe I have ever visited! 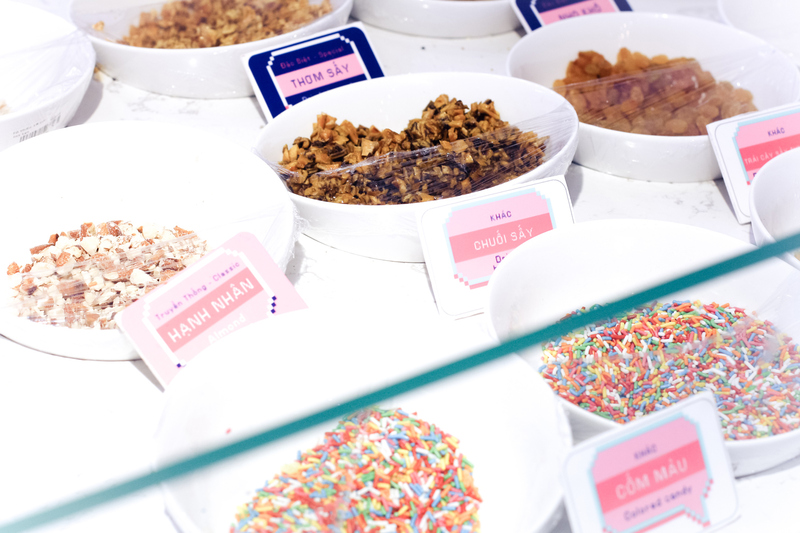 The Ice Kitchen is certainly a dessert heaven for all of you, sweet tooth. 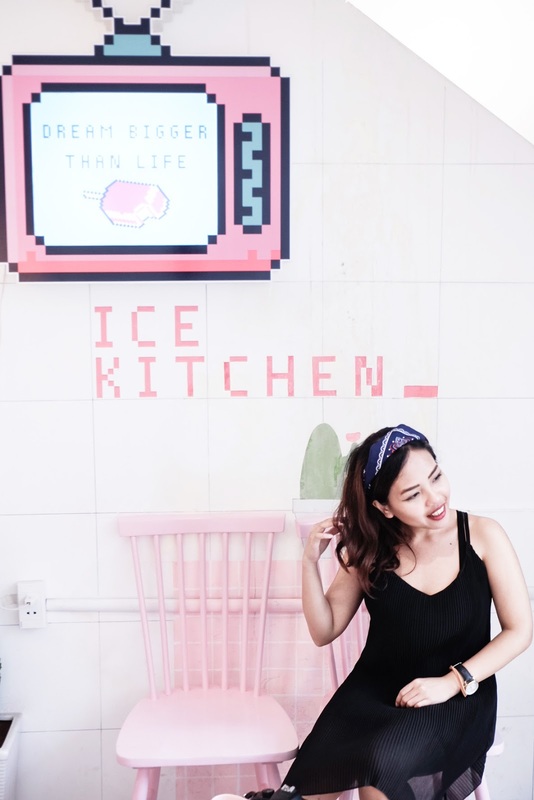 Located strategically in the city center, this three-storeyed cafe is filled with millennial pink furnitures and pixelated rainbow icons. 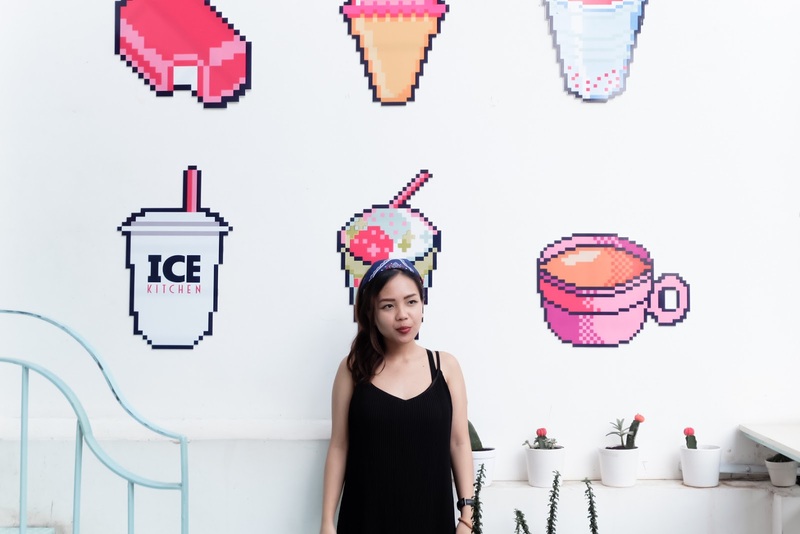 We accidentally found this cafe after walking the whole day in Ho Chi Minh's hot weather. 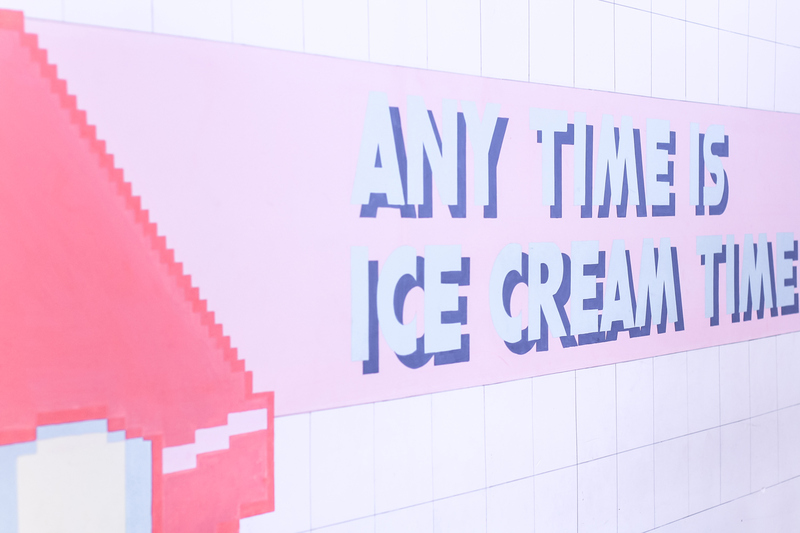 I mean, who would resist an ice cream after a long day? 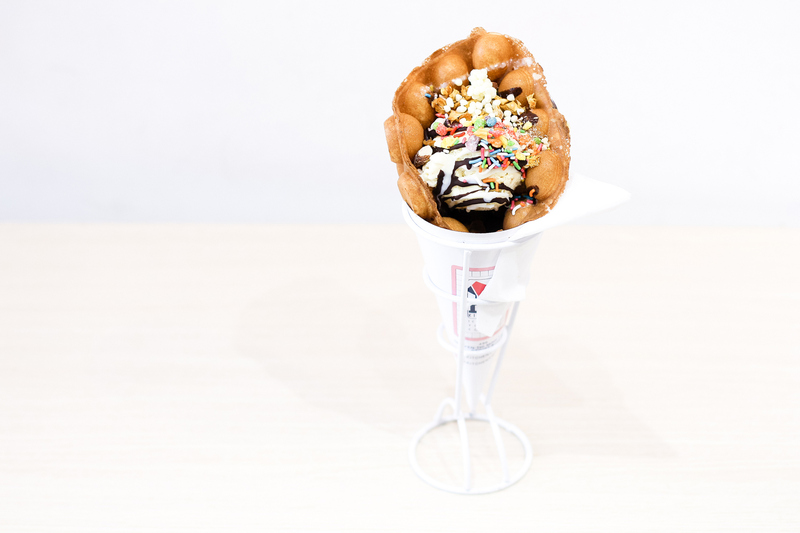 They specialized in making ice cream waffle, ice cream bar, yogurt smoothies, and mocktails. 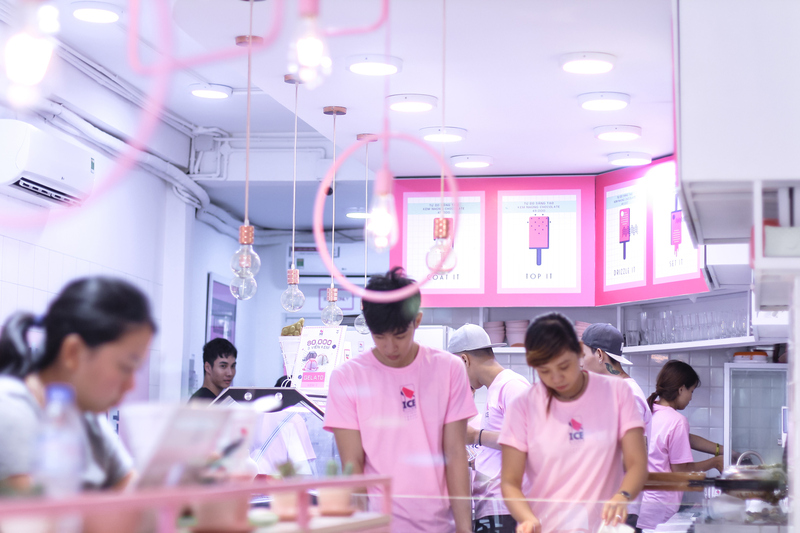 Their jawdropping bar lets you choose and mix and match various flavours of gelato as well as the topping. Look how cute their interior is! 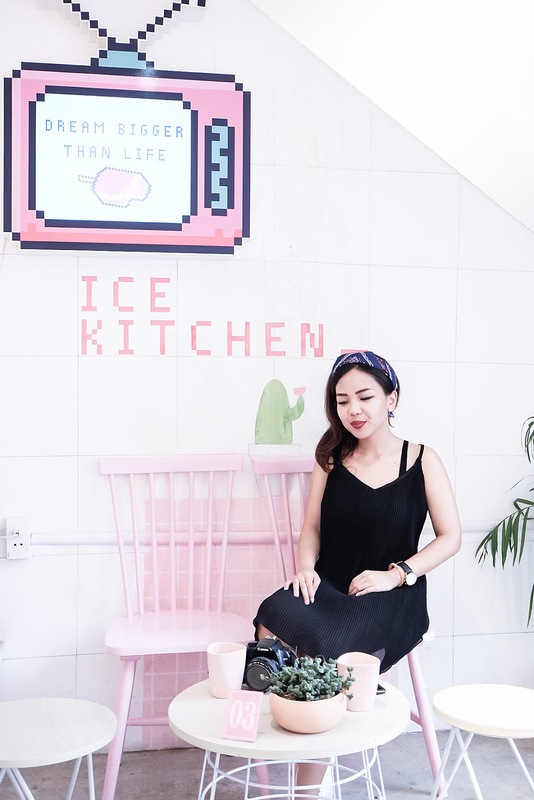 Covered in millenial pink furnitures, cute pixels icons and clean minimalist interior, I would say that this is one of the most instagrammable cafes in Ho Chi Minh! This is the waffle ice cream we ordered. Their egg waffle is quite huge! We had the clasic vanilla ice cream with several toppings - almond, rainbow sprinkles, white chocolate drops, and chocolate sauce. I must say that they taste as good as they look like! So yass to nice ice cream! Handmade dress. Mayhem Saigon headband. Pull and Bear shoes. oh my gosh i love this place already. so unicorn(y) like.. nice bandana! This looks like a lovely place! 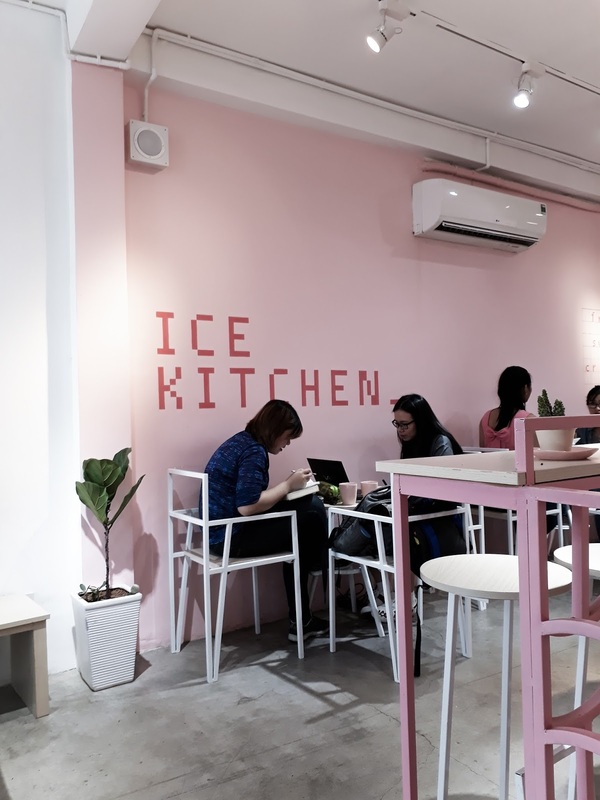 I love the decor and the waffle ice-cream looks amazing!!! Very beautiful place for adults and kids with a wide range of ice cream. Thanks for sharing and have a lovely Sunday! Awe! What a cute ice cream shop! Now I want some! lol! Wow, amazing post, dear! This place is great, so nice and interesting! Food is fantastic. Must visit it! Ahhh so cute, I always wanted to try these ice waffles! But there are rarely no places in germany, where you can eat them. OMG! This place does look like heaven. 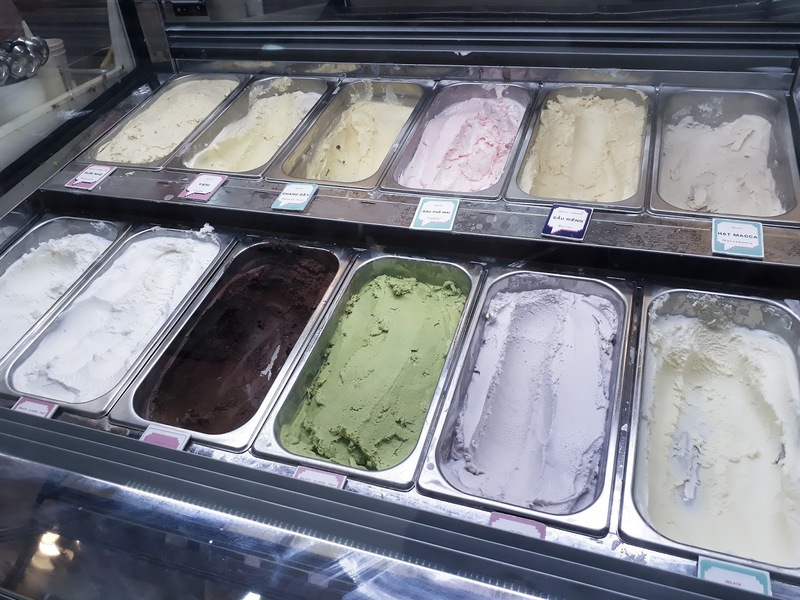 I am a huge ice cream fan. Yum! 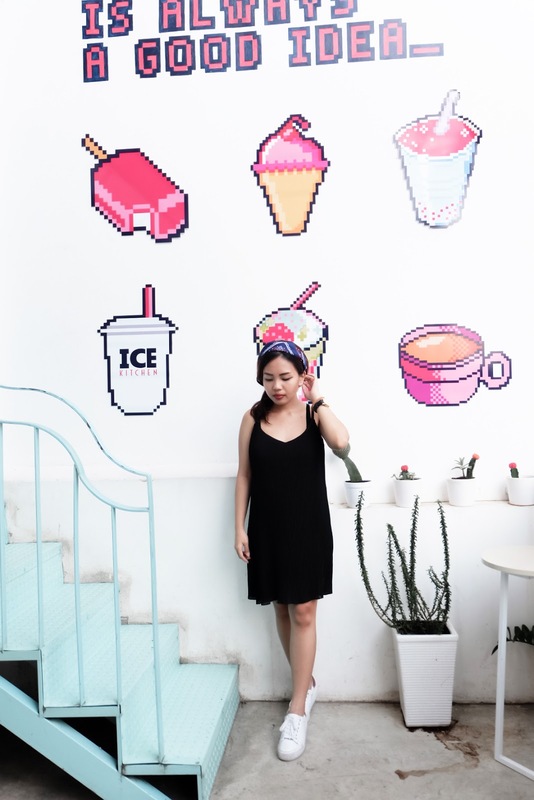 I LOVE the cute interior design of this place - especially the pixelated ice creams and coffee cups on the wall! A nice and lovely place to relax. I want to go to this place, too, it looks so cool and suuuper sweet! Your pictures are so beautiful! I love ice creams! Hope you have a great weekend! This place looks so cute! I would love to visit some day. All about the dessert! I can eat it every day. This place is adorable. 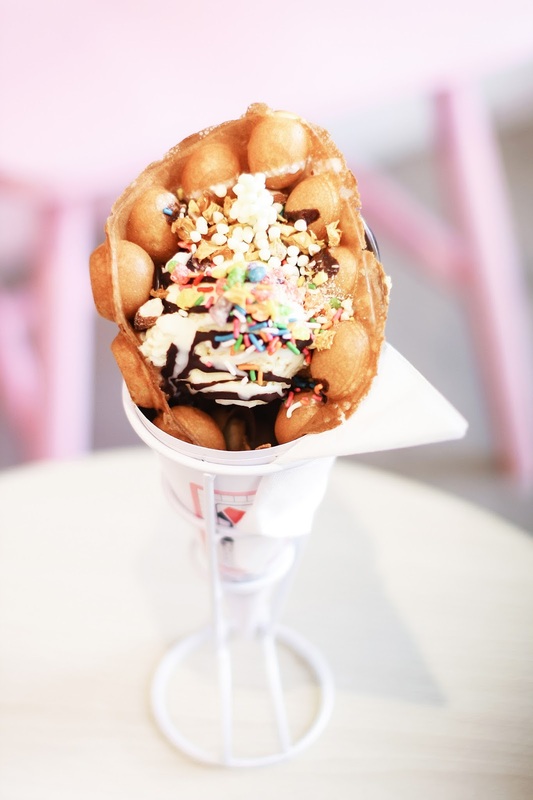 Yumm this waffle ice cream looks bomb!! All that sprinkle on top look super delish. 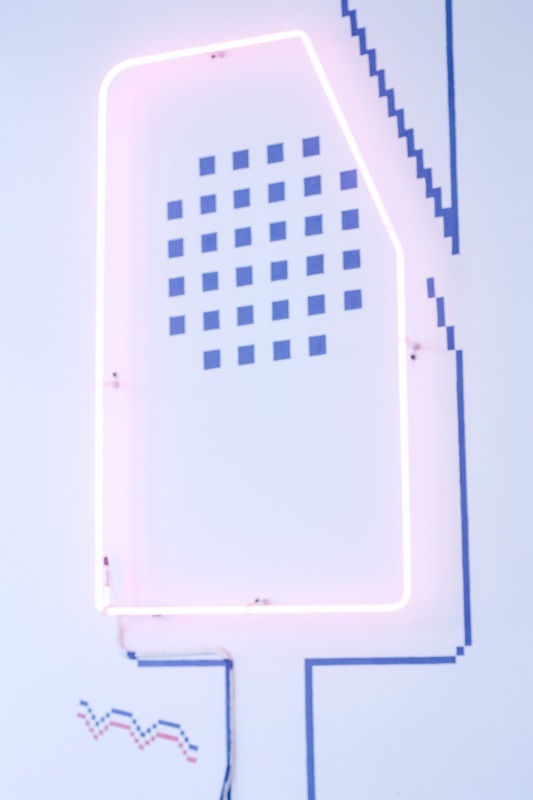 OMG, I am obsessed with the place, the pixelate theme with pastel colors is a plus point! An you got me sooo tempted..yumm! This looks amazing!! So hungry right now!! i definetly have to try it. Ps : that black dress is beautiful on you !